HUNTERSVILLE, N.C., (March 31, 2005) - After scoring three wins, three poles, 15 top-five finishes and 34 top-10 finishes in its first season of NASCAR Weekly Racing Series competition in 2004, Joe Gibbs Racing's (JGR) diversity program hit the ground running in 2005 as second-year drivers Aric Almirola and Chris Bristol finished third in their respective early-season races. Almirola drove his #92 Home Depot Chevrolet to a strong third-place finish in the March 19 Doughton Racing Products 300 Late Model stock car race at Motor Mile Speedway in Radford, Va. Bristol equaled his teammate's mark a week later, piloting his #92 MBNA Chevrolet to third in the March 26 NASCAR Weekly Racing Series season-opener at Hickory (N.C.) Motor Speedway. "We were just way too tight for the restarts," said Almirola, a 20-year-old Hispanic from Tampa, Fla. "We had a fast car all night but we just couldn't get any higher than third. Still, it wasn't a bad night by any means. The year has barely begun and our run at Motor Mile has given us a good start to the season." "Aric set the tone for our team early with his run at Motor Mile," added Bristol, a 27-year-old African-American from Columbus, Ohio, "so we definitely wanted to run well in our first race at Hickory. Obviously we would've wanted a little more, but we'll take third and get ready for next week." JGR's diversity program traces it roots back to May of 2003. 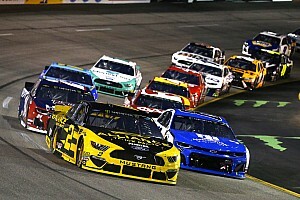 In partnership with the late Reggie White, a Hall of Fame defensive end who played in the National Football League, JGR formed the diversity program to create a grassroots stock car team that would identify and assist minorities with the desire and talent to make a career in motorsports. And in January of 2004 the diversity program became reality, thanks in large part to the support of JGR's sponsors, most notably, The Home Depot and MBNA, the team's primary sponsors, and Rockwell Automation and Cintas, the team's associate sponsors. Last year, Almirola competed at the .4-mile Ace Speedway in Altamahaw, N.C., recording two wins, six top-fives and 15 top-10s. And Bristol raced at the .455-mile Caraway Speedway in Asheboro, N.C., earning a win, three poles, nine top-fives and 19 top-10s en route to rookie of the year honors. In 2005, Almirola moves from being a regular Late Model driver at Ace Speedway to campaign his Home Depot Chevrolet at big Late Model races throughout the Southeast. Bristol, meanwhile, moves to the .363-mile Hickory oval to compete regularly in that track's Late Model program. Both cars will carry the number 92 in tribute to White, the number he wore throughout his football career. Almirola began racing go-karts when he was eight. After winning many races and local titles in and around his home state of Florida, he took his talent to the national karting scene in 1998. 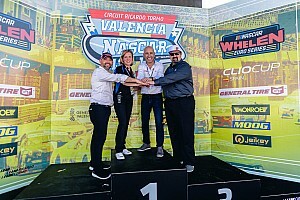 He quickly made his presence known, qualifying on the pole for the World Karting Association Grand Nationals at Daytona Beach (Fla.) Municipal Stadium before finishing fourth in the season-ending point standings. At 16, Almirola graduated to open-wheel modifieds - 2,750-pound race cars that put out over 700 horsepower. In 2000 he won the rookie of the year title in two separate modified divisions - Florida Modified and SARA (Southern Automobile Racing Association) Modified, while garnering his first career win in the Joslin Memorial 100 at Orlando (Fla.) Speedworld, beating the top drivers in Florida. In March 2002, Almirola advanced from open-wheel modifieds to the Sunbelt Super Late Model Division, where he finished runner-up in the rookie of year standings. Almirola continued in that division in 2003, winning three poles at USA Speedway in Lakeland, Fla., two poles at New Smyrna (Fla.) Speedway and one pole at Bronson (Fla.) Speedway. Bristol began racing in 1998 as a student at North Carolina A&T State University in Greensboro. There he was selected as the driver for the university's ICAR (InterCollegiate Association for Racing) Legends team. Bristol garnered two wins and delivered the school its only ICAR national championship in 1998. He won two more races in 1999 before graduating with a degree in mechanical engineering. Thanks to his solid performance in Legends cars, Bristol landed a ride in the Street Stock division of the NASCAR Weekly Racing Series at Concord (N.C.) Motorsport Park. He finished the 1999 season in that division before moving to Limited Stock in 2000, where in nine starts he garnered one top-five and six top-10 finishes. In 2001, Bristol started his own racing team and competed in the Thunder Roadster division as part of Lowe's Motor Speedway's Summer Shootout Series. He earned two heat race wins along with four top-five and seven top-10 finishes while taking fourth in the season-ending point standings. The next steps for Bristol were starts in the NASCAR Goody's Dash Series, where in late 2002 he drove for Bryant Motorsports at Pittsburgh's Motordome Speedway and Atlanta Motor Speedway. In 2003, Bristol competed at Caraway in the Late Model Super Truck division of the NASCAR Weekly Racing Series, where on July 18 he won a pole and two races, as the track ran two 35-lap features. It marked the first time an African-American had ever won a pole or a race at Caraway. And on Aug. 15, Bristol added another pole and another win to his record at Caraway. When the season ended, he finished second in the championship point standings and garnered rookie of the year honors. 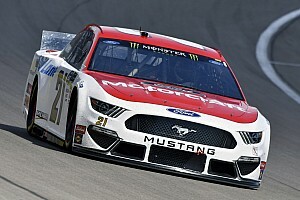 JGR is one of the premier organizations in NASCAR, currently fielding three NASCAR NEXTEL Cup Series teams for drivers Bobby Labonte, Tony Stewart and Jason Leffler, and two NASCAR Busch Series teams for drivers J.J. Yeley and Denny Hamlin. 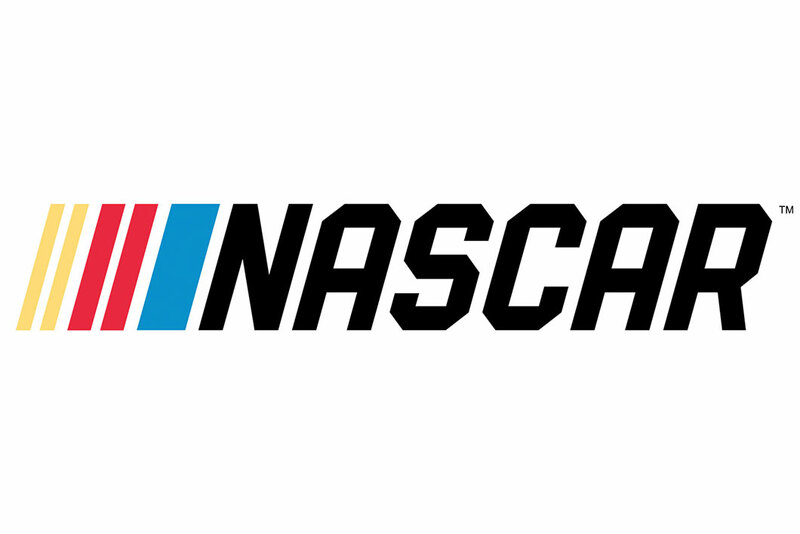 Based in Huntersville, N.C., and owned by Joe Gibbs - a three-time Super Bowl-winning coach, a member of the Pro Football Hall of Fame and current coach of the Washington Redskins - the team has competed in NASCAR since 1992, winning two Cup Series championships and over 40 NASCAR races, including the 1993 Daytona 500 and 2000 Brickyard 400.